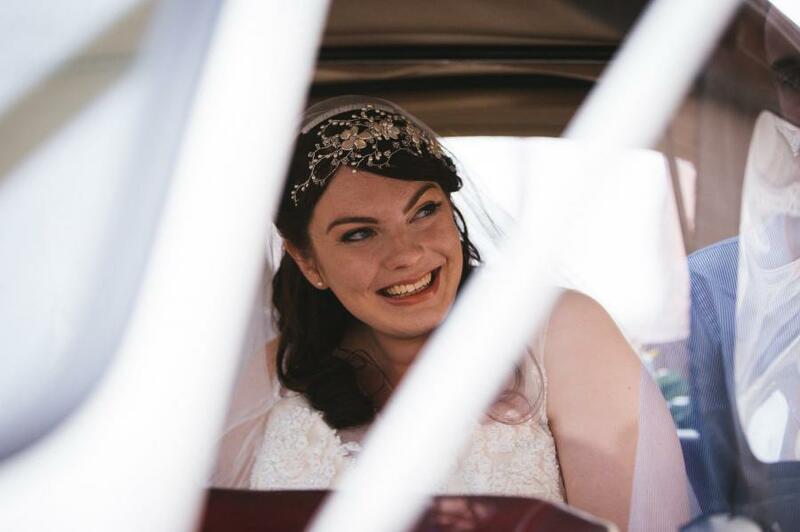 "It really is the most gorgeous and delicate headpiece - as soon as I saw it at the National Wedding Show I knew it would be perfect, and I can't wait to pass it down as a beloved family heirloom. Thank you!" Thank you so much for your kind words Jess! We are so happy to have been a part of your wonderful wedding day and that you loved your hairpiece so much! Lovely wedding photography from Mitchell Photography.